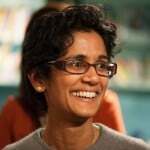 Meena Parameshwaran was previously a Research Associate at LKMco. She is a sociologist with research interests in educational inequality, social class, ethnicity, and compositional effects. She is a quantitative researcher and has published work on identity, diversity and social cohesion. Meena has worked as a researcher at The Runnymede Trust and Teach First, and has held academic positions at the universities of Manchester and Oxford. She is a qualified secondary maths teacher, school governor and student mentor, and is a researcher at the FFT Education Datalab. Meena holds a PhD in Sociology from the University of Oxford. Have academic standards really stagnated?